On November 12-19, the Auschwitz Institute for Peace and Reconciliation (AIPR) organized the 2017 edition of the Global Raphael Lemkin Seminar for the Prevention of Genocide in Oświęcim and Krakow, Poland. 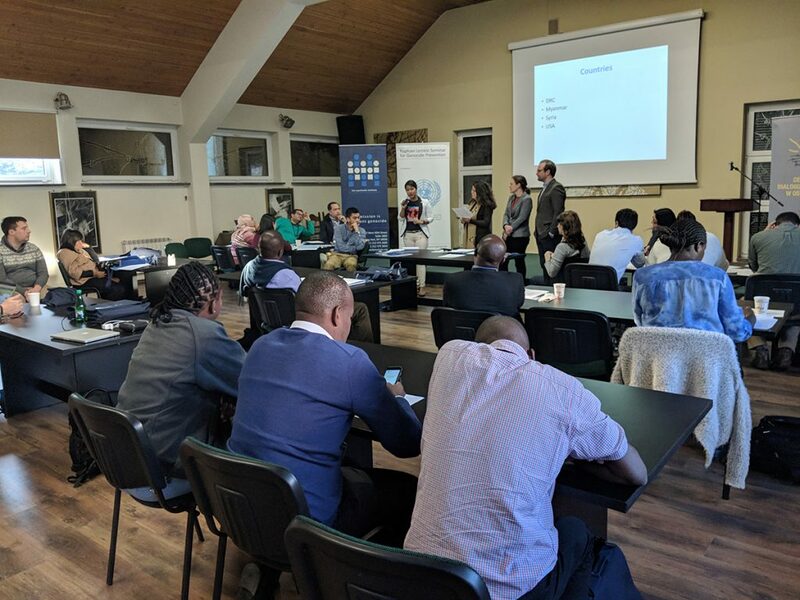 This year, the Auschwitz Institute welcomed 25 international participants to the seminar from a variety of countries including Argentina, Brazil, Cambodia, Chile, Colombia, Costa Rica, Honduras, Indonesia, Kenya, Morocco, Montenegro, Myanmar, Romania, Serbia, South Korea, Tanzania, Uganda, Uruguay, and Zambia. 4 official observers, 5 fellows-in-residence, and an evaluation fellow joined 14 instructors and staff for the weeklong training in Poland. Additional information, including the seminar agenda and a complete list of participations, as well as their short biographies, can be found here. In similar fashion to previous editions, the seminar’s curriculum was divided thematically across the week, with the final day reserved for a capstone simulation exercise. Monday and Tuesday’s focus was centered on the “power of place” of the former Nazi concentration camps of Auschwitz-Birkenau. 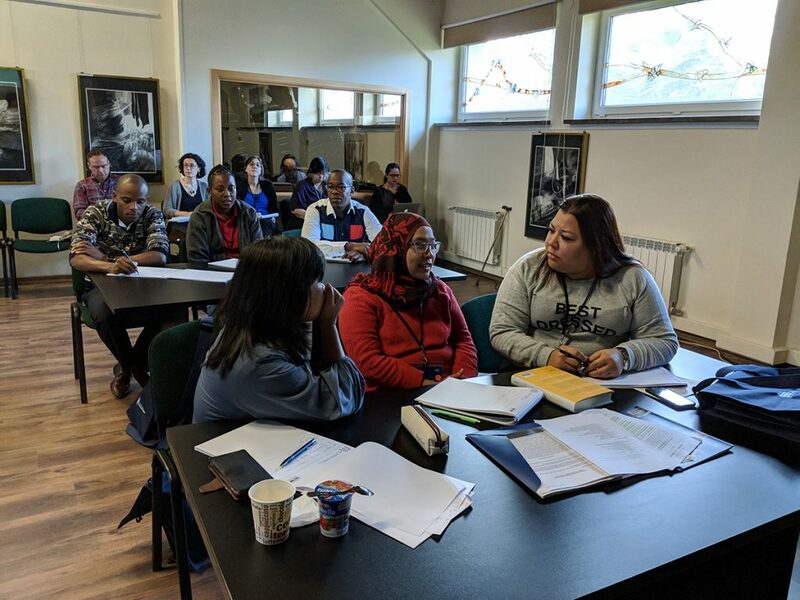 Participants received a robust introduction to the concepts of genocide, atrocities, and their prevention, as well as historical modules on the Holocaust, before embarking on guided study tours of the camp grounds. Instructors from the Auschwitz-Birkenau State Museum provided additional historical context for the participants’ visits and highlighted the preventive role of memorialization from the museum’s perspective. The second day concluded with a debriefing module for participants on their experiences at the camps. The following three instructional days were dedicated to topics related to the upstream, midstream, and downstream prevention of genocide and mass atrocities, respectively. Wednesday, which was devoted to upstream prevention strategies, began with an introduction to risk factors for genocide and atrocity crimes. Following this, representatives from the United Nations Office of the Special Advisers on the Prevention of Genocide and the Responsibility to Protect led modules devoted to early warning, the Responsibility to Protect, and policy options for prevention. The day concluded with a module on National Mechanisms for the Prevention of Genocide, highlighting the importance of their institutionalization within state structures of governance. Thursday, which was devoted to midstream prevention, began with a module on accelerants, triggers, and the early warning-early response gap. Participants then engaged in an activity on the topic of identity and its role in prevention before Dr. James Waller delivered his module on “Becoming Evil.” The day ended with a presentation on the current crisis situation in Burma and a region-specific network mapping exercise for participants. 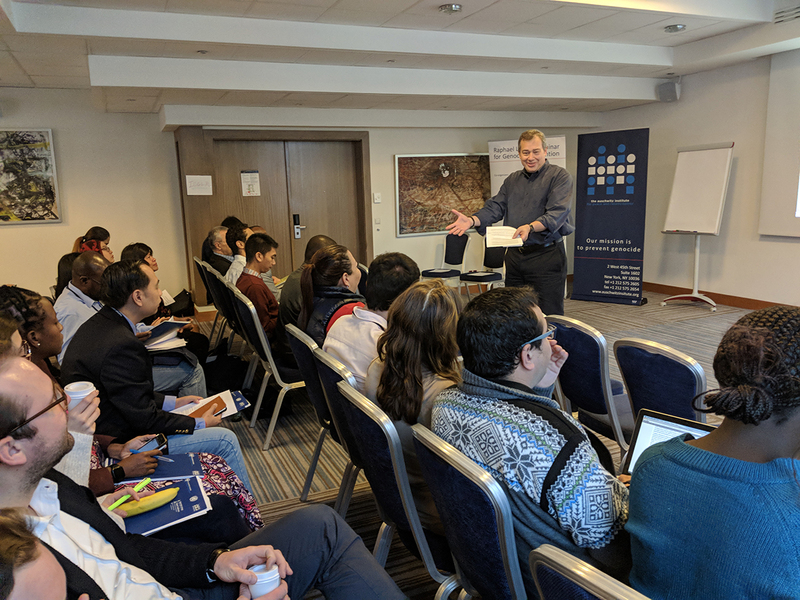 On Friday, the seminar dedicated itself to topics in downstream prevention, beginning with a module on justice, truth, and memory and an introduction to transitional justice from a prevention perspective. 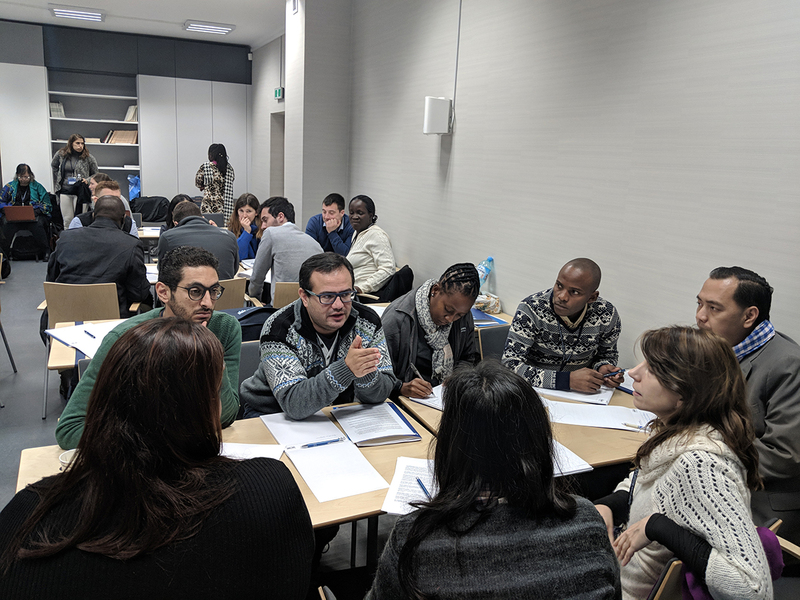 Participants continued their focus on transitional justice with a module covering a case study on Columbia, which highlighted transitional justice measures employed in a protracted conflict. The day finished with a module on the importance of women as partners in the prevention of genocide and another covering the role of memory and memorialization in transitional justice. 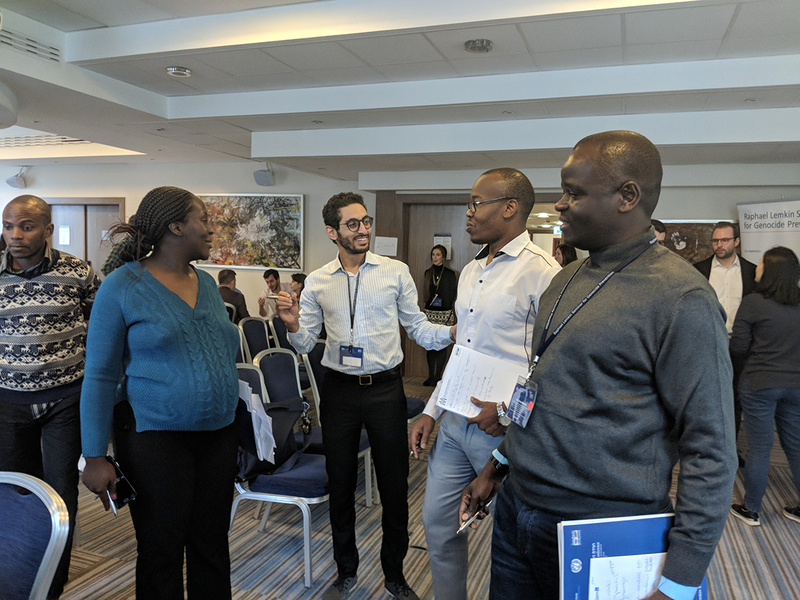 The seminar’s final day opened with a capstone simulation exercise, giving seminar participants the chance to review the concepts, strategies, and best practices that they learned throughout the week and put them into action. The program concluded with closing remarks and updates from Auschwitz Institute staff regarding the organization’s “2Prevent” network of alumni and other information on subsequent collaborative opportunities with AIPR. The next Global Raphael Lemkin Seminar is scheduled for November 11-18, 2018. For additional details on the 2017 seminar, as well as those from previous editions, please click here.